About me: My mother's father was a studio photographer on the Coney Island Boardwalk, my father's father was an artist in Germany, and my father was a filmmaker and amateur still photographer in New York. So naturally I decided to pursue a career in music! Luckily after hearing the error of my ways, I picked up my father's old Nikkormat and haven't looked back since. From 1998 to 2014 I founded my own stock agency, Ambient Images, which specialized in photos of New York, California. In 2015 I formed Citizen of the Planet, LLC, devoted exclusively to the distribution of my stories and work that focus on environmental subjects such as fracking, drought, green construction, alternative energies, urban farming and water and air quality issues. 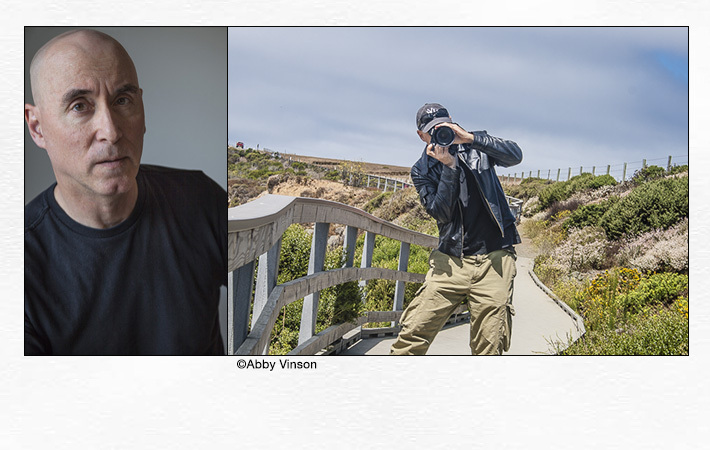 I continue to shoot travel and environmental subjects for books, magazines as well as selling fine art prints to individuals and institutions. I have also had the privilege to work with numerous local environmental organizations over the years including FoLAR, Heal the Bay, Tree People, Algalita Marine Research Foundation, Communities for a Better Environment and the LA Conservation Corps. I have been teaching for several years at the Los Angeles Center of Photography (formerly the Julia Dean Photo Workshops) and lead a bi-annual photo workshop along the banks of the Los Angeles River, a special place I have spent many years photographing, the result of which will be a book on the river scheduled to come out later this year. My other books include: New York City: A Photographic Portrait, Our San Diego and Only in Los Angeles. About Citizen of the Planet: The environmental story of our planet is more than just global warming, there are actually many things going on, much of it negative, but some of it positive. Many of these stories are about the things we tend not to think about or not want to think about, like our water and oceans, our air, our food, where stuff goes when we get rid of it, and other things we take for granted on a daily basis. Rather than to continue with blinders on, I decided to let my camera help me see what I did not care to look at before. Clarity can be beautiful, it can be terribly ugly, but ultimately it is freeing. My camera has always allowed me to enter worlds and places I would never have found otherwise, allowing me to learn a little bit about a lot of things, and sometimes a lot about a few things. Along the way I have been privileged to meet some very interesting people. That is why I love what I do. But what I have discovered shooting a lot of the environmental and green stories these last few years is that quite often those interesting places and people are in my own backyard right here in California. These stories are really microcosms of what is occurring in many other places. The dedicated effort and spirit of people working hard to make their neighborhood a better, cleaner and safer place to live is often repeated hundreds and thousands of times over in other communities in this country and around the planet. These community heroes are often just a family that spends a day cleaning up a beach or river, teens volunteering to plant trees in an area hit by wildfires, an environmental justice organization helping a low income neighborhood confront a powerful local polluter, or maybe a couple of guys who sail across an ocean on a raft made of water bottles to bring attention to the global threat of plastic in our oceans. Our lives are changing and will continue to change as we attempt to bring our world and planet back in harmony. These changes are occurring fast, both as the environment around us continues to alter, and as our efforts to combat it and our lifestyles adapt to these changes. Documenting these stories is something I am continually drawn to do, but it is something we can all do, be it on an iPhone or a high end pro camera, to provide a window for others into our little part of the world so we may work together, learn from each other and face the challenges of our times.